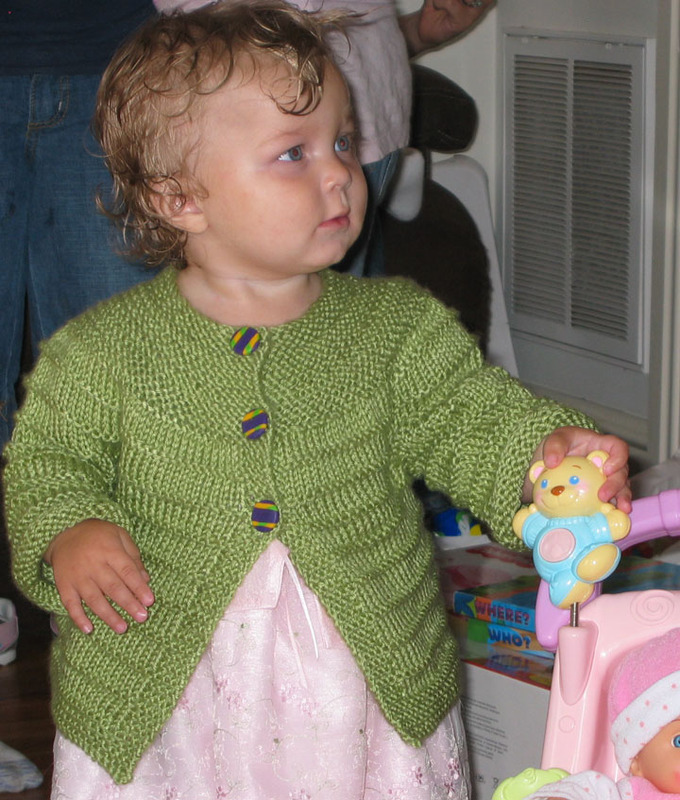 I was on-line browsing though some beautiful knitty delights and realised I should have added some embellishments to the February Baby sweater I gave my granddaughter for her first birthday. What was I thinking? The solid pistachio green would have been the perfect background for some lovely daisy stitch flowers in between the garter stitch ridges. Ok, now I remember. I finished it the night before the party and was busy making buttons. In the future I must think of embellishing my solid color knits. This entry was posted in february baby sweater, knitting and tagged February Baby Sweater, knitting by Patti_is_knittinginflashes. Bookmark the permalink. What a pretty idea to have put some daisy stitch flowers, but I love it just the way it is too!